Without any media breaks the involved teams will assemble requirements and process documentation and automate the test preparation and execution using the same data model. 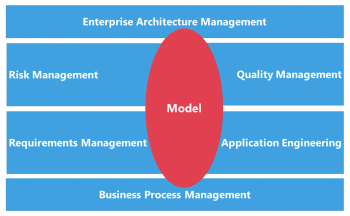 A typical SLDC usually involves many different roles and disciplines: Enterprise architecture management, business process management, requirements and risks management, application engineering and quality management. So, all teams in a program or transformation project need to share the same model data, however, using different views, tools and methodologies. 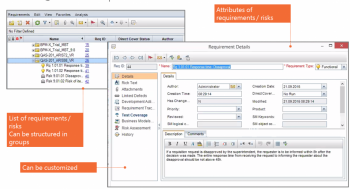 The traceability of business requirements to implementation delivery is one of the key objectives of such an approach. BPM-X combines these aspects and creates a shared collaboration platform. A process repository holds all requirement and risk objects in conjunction with the process model data. This establishes a single point of truth so that different roles and teams can collaborate on the same model data. 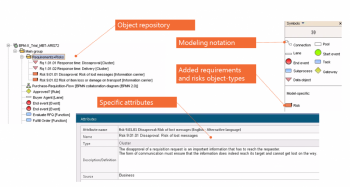 Moreover, the process models themselves can be transformed into an XPDL representation and uploaded into the Business Models section of HP QC/ALM’s Requirements module. 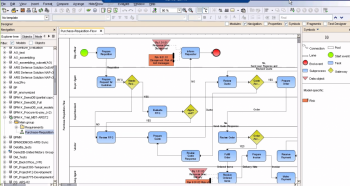 BPMN process model with risks and functional requirements. Many other tools like Visio, Sparx System Enterprise Architect, Casewise, JIRA and versions thereof are supported on demand.